Once you have established a branded look that you're happy with, you'll want to Apply the Changes to your image(s). Or, if you decide you want to start over, you can Cancel and Revert Changes. You have multiple options from the Designer View. The Cancel tab will revert any brand changes you've made and return you to the Image View. The Revert tab will remove all branding items and keep you in Designer View. 1)...to all images - this applies the branded look you see in the Designer View to all of the images in the Planner View. 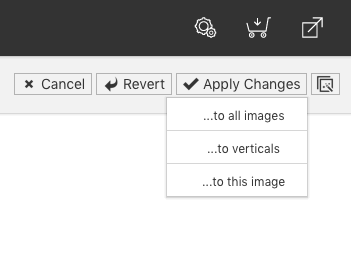 This also automatically applies to any new images you drag from the thumbnail panel to Planner View. 2)...to horizontals - this applies the branded look you see in Designer View to all of the images in the Planner View with that style. (If we were viewing a Vertical image in Designer View, this would read: ...to all verticals. 3)...to this image - this applies the branded style you see in Designer View to just the image you are viewing. Using these tools, you can easily create different styles for your branding and apply them individually. 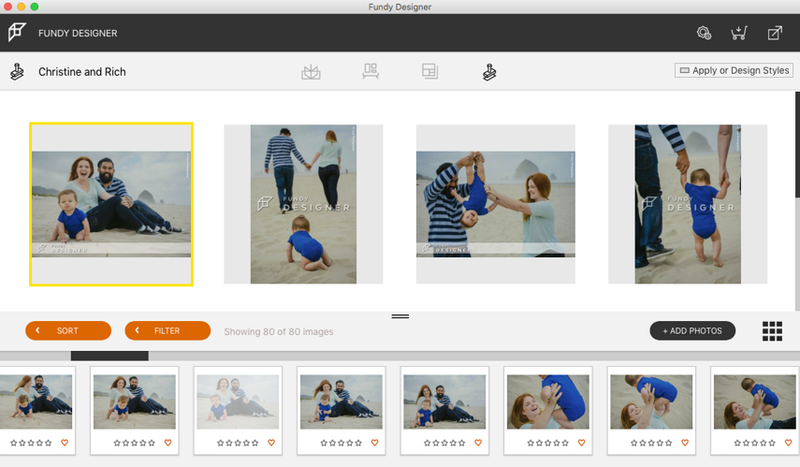 It's easy to apply a certain style to horizontal images and another to vertical images. In the example above, you can see that there are two styles applied to the images in Planner View. One for horizontal images that's different than the style applied to the vertical images. Of course, you can also apply a different style to each image.